The Islands Of The Bahamas is known globally as one of the top boating destinations in the western hemisphere. 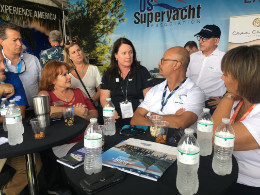 Moreover, recent statistics reveal that over the past three years there has been an increase of more than 60 percent in the number of boaters to The Bahamas. 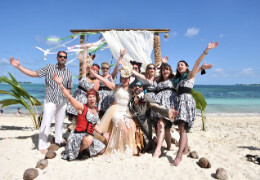 A swashbuckling Chicago couple became the latest pirates of the Caribbean recently when they had their fun-filled, pirate-themed wedding at Goodman’s Bay, in Nassau. 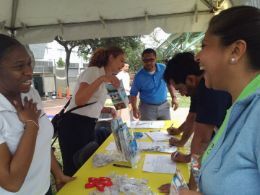 Scores of vendors, tour operators and government agencies who operate at the Prince George Wharf got the opportunity to sharpen their customer service skills recently, during a two-day Aquila Customer Service Workshop. 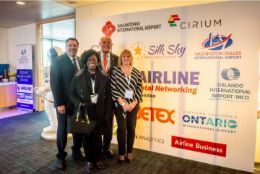 The month of February was certainly the month of love for three lucky couples in Canada, who won an incredible opportunity to propose to their beloved ones in The Bahamas. 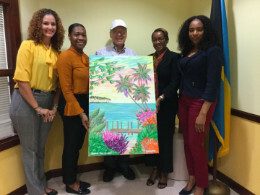 The romantic opportunity was a result of the Bahamas Ministry of Tourism and Aviation’s (MOTA) social media contest, “Say Yes in The Bahamas” engagement proposal. 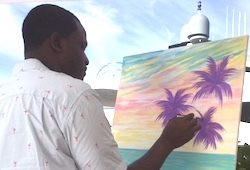 As part of its new marketing strategy to integrate and highlight the culture and people of The Bahamas through innovative story telling, the Ministry of Tourism and Aviation (MOTA) Plantation office teamed up with well-known celebrity artist Jamaal Rolle, at the recent Art Fort Lauderdale Show. 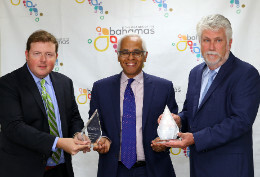 The Islands of The Bahamas was recognized with seven awards across three categories in this year’s USA Today 10Best Readers’ Choice Awards, including Best Caribbean Beach, Best Caribbean Island for Romance and Best Caribbean Dive Site. 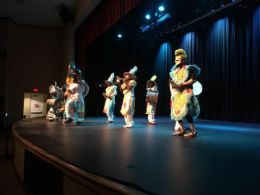 The Bahamas’ “very impressive double-digit growth” in stopover arrivals across the destination, including the Family Islands, was a decisive factor in the country earning the Caribbean Journal’s 'Tourism Destination of the Year' designation. Global Ports Holding (GPH), a leading international player in the cruise tourism industry and the world’s largest independent cruise port operator, is pleased to announce that it has been selected as the winning bidder for the redevelopment and operation of Prince George Wharf, the main cruise port in Nassau, Bahamas. “This project marks the beginning of a new Bahamian success story,” said Mehmet Kutman, Chairman of Global Ports Holding. 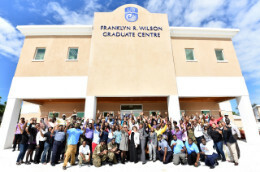 “The Government of the Bahamas is opening doors to create the kinds of opportunities that will make life better for all Bahamians. 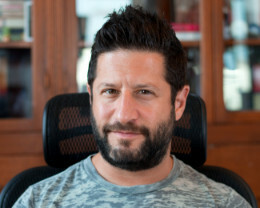 The Movie Masters forum returns to Nassau and Grand Bahama this month, giving Bahamian filmmakers access to accomplished Hollywood professionals. 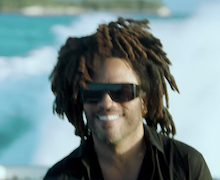 A new, multi-channel creative campaign featuring Bahamian-American rock legend Lenny Kravitz reveals the authentic spirit of The Bahamas as a destination of adventure and discovery. Set to the lyrics of Kravitz’s hit song Fly Away, the television commercial and supporting marketing campaign capture his deep personal connection to The Bahamas, as well as the pure adrenaline rush of exploring the archipelago’s 100,000 square miles by boat and plane. 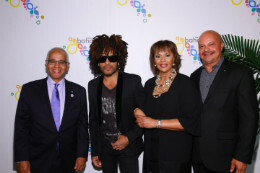 NEW YORK, NY -- The Bahamas Ministry of Tourism launched their latest campaign this past week featuring singer-songwriter Lenny Kravitz and his hit song, "Fly Away" which has become the Islands of The Bahamas new slogan. 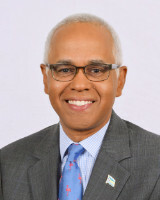 Tourism’s “mind blowing” growth for the eleven months ending November 30, 2018 accounted for $300 million in additional spending into the Bahamian economy, Minister of Tourism & Aviation, the Hon. Dionisio D’Aguilar told House Members, Wednesday (February 6, 2019). The Bahamas Ministry of Tourism & Aviation shares the following update regarding the YouTube video currently attracting attention and concern in the community. While there is speculation that this video may be a leverage tactic, we have no evidence that this video was influenced by anyone other than its creator.